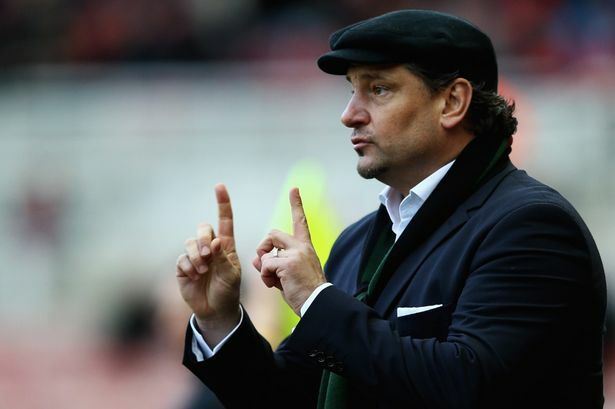 Following confirmation of the change in ownership of the club, Dean Holdsworth spoke to bwfc.co.uk with the former Bolton striker admitting his pride at returning to the club with whom he enjoyed five-and-a-half years with as a player. Heading up the Sports Shield consortium, who alongside Ken Anderson’s Inner Circle officially took control of Eddie Davies’ 94.5 percent share in Burnden Leisure on Thursday, Holdsworth took time out to offer his thoughts to the club’s website. “We are delighted to have finally got the transaction over the line,” he explained. “It’s been hard for everybody involved, especially the staff who have been through a long period of uncertainty. “It’s been a very long process, but you can see why. When you come to this football club and you see the history, all the happenings over the past few months have been for the benefit of the company as a whole. He continued, “It is of course a huge pressure to say that you want to go and buy Bolton Wanderers Football Club and in actually doing it, we feel a huge sense of achievement and pride. “It is an honour for me to have done it and we’re very proud to be where we are now. “People around me have seen a different person over the last six months – a serious person, but one who has wanted nothing more than to see this transaction happen and I’m very proud to have done it. “It would have been wrong of me to make promises, but we’ve done what we needed to do to get the football club in a safe and secure future. Reflecting upon his personal attachment to the club, Holdsworth said, “When I drive up the M61 to Junction 6 and see the floodlights, it always reminds me of the day I joined as a player back in 1997. “I left my house in London not knowing what to expect, but I’ll never forget the incredible feeling I had when I saw the stadium – I still get it when I see it. I get a special feeling and that’s what’s brought me here. “For the next 48 hours though, I’m going to try and enjoy it, hopefully starting with a win against Preston on Saturday! “We need to let the football do the talking now and we’ll look to support the team and the manager in the right way.